Over the years I have heard innumerable women ask me what I use on my skin. ‘Shahnaz, I am going to come and pick up the jars on your table’, they say. The secret of beauty is best revealed at my beauty treasure place – my dressing table – with the six foot long mirror, a beige border and exposed lights – and an equally long table with a chair facing it. It houses my make up and magic potions. My skin care routine is very thorough. In the morning, I apply a fine layer of ShaDew which creates a barrier between the heavily chlorinated bath water, followed by the highly refined exfoliating scrubs from my Gold or Diamond ranges. Once in a while I use the classic granular ShaGrain with a splash of ShaRose. The cleansing over, its now time for my most important beauty routine – the moisturizer , which I change according to the weather. My favourites are the Diamond Rehydrant and the White Pearl which I feel clear the occasional sallowness and mild tanning – often the result of my wide travels and skin exposure to the environment. 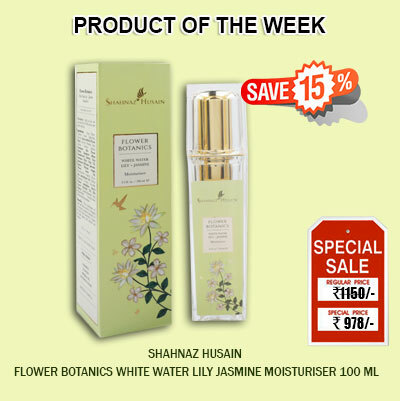 Then there is ShaMoist or White Water Lily which I use often. Finally a quick dab of sun block and my morning skin work-out is over! The make up on my table is well organized, The lipsticks are all colour coded and my personal favourites from my product range are stacked to a side along with all my new products that are used personally by me before they go onto the shelves – and only after I have assured myself that they have met my exacting standards. The mascaras, liners and foundations are all in distinct sections of the table – and what I do with them will be revealed in another post – Make-up Magic – when I take you through the rest of my dressing table!